With miles of pristine coastline, hundreds of beautiful trails, and a plethora of dining and shopping options, it’s no wonder Travel+Leisure named San Luis Obispo one of the most romantic cities in the United States. San Luis Obispo strikes the perfect balance between spontaneous adventure and relaxed luxury. 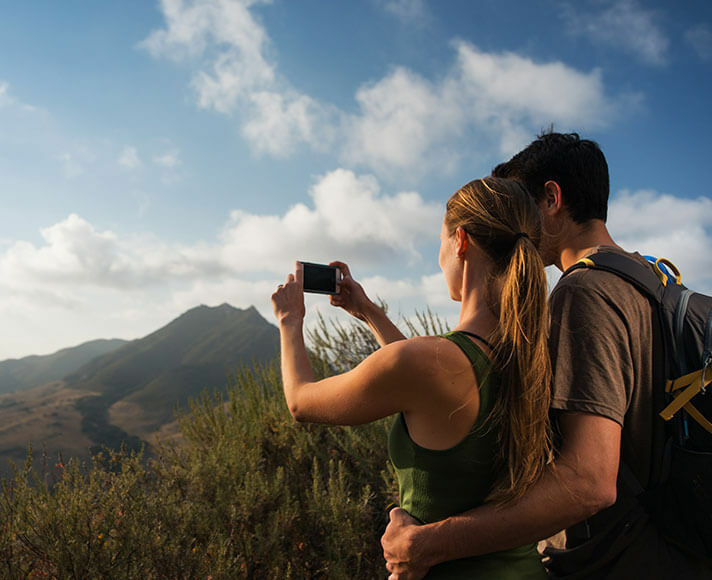 Grab your sweetheart and start planning your romantic getaway to San Luis Obispo. Explore the tide pools at Shell Beach, wine taste through Edna Valley, and delight the foodie in you by treating yourselves to dinner at a romantic restaurant in Downtown San Luis Obispo. Whether you enjoy a picturesque sunset hike or painting at Art Bar, San Luis Obispo has your romantic vacation covered. Looking to visit in February? Explore our list of the top 10 things to do in San Luis Obispo on Valentine’s Day…from pampering yourselves to pretty and pink sunsets. We promise San Luis Obispo will not disappoint! If you want to experience all that SLO has to offer, check out our San Luis Obispo romantic getaway itinerary below. Start your morning off with a hike up Madonna Mountain for breathtaking panoramic views of the city. Drop by Sally Loo’s Wholesome Café for bagels and a fruit parfait, or switch it up and try Luna Red’s unique tapas-style breakfast. After refueling, cruise down Highway 1 to Morro Bay for a few hours of sunshine and serenity. For the thrill-seekers, Morro Bay offers a wide variety of kayaking, paddle boarding, and boat tours, allowing you to experience Central Coast’s wildlife in the outdoors. 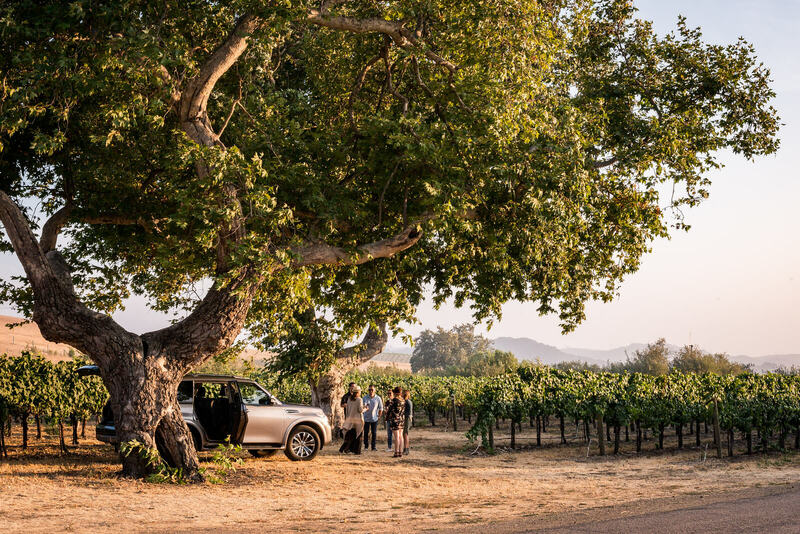 If you’re looking to sip your way through San Luis Obispo, explore Edna Valley, a thriving wine region located within 15-minutes of Downtown SLO. 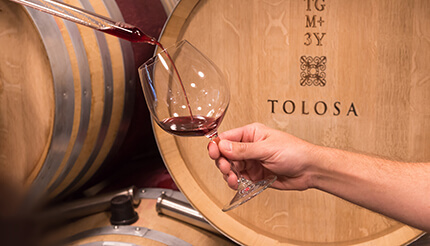 Enjoy wine tasting California’s finest Pinot Noirs and Chardonnays while tucked within the lush, rolling hills of San Luis Obispo wine country. When you’re ready to wind down, you can pamper yourselves with a relaxing, romantic couple’s massage at spas conveniently located in Downtown San Luis Obispo. Cap your night off with a specialty cocktail from Sidecar or head Downtown to enjoy the lively nightlife. Start your Sunday off right and indulge in brunch. Cruise over to Novo for a delicious breakfast on their outdoor patio, overlooking San Luis Creek. Looking to explore more brunch options? Check out our top brunch spots in San Luis Obispo, featuring everything from festive and filling breakfast options to lavish bottomless mimosa spots. After brunch, meander through the unique boutiques and art galleries to get a taste of the local culture. Nestled right in the heart of downtown, Mission San Luis Obispo de Tolosa is another top attraction and lets you travel back in time to circa 1772. When the afternoon lull sets in, visit the Sycamore Mineral Springs Resort and Spa, grab a bottle of wine and soak yourselves in one of their glorious hillside hot tubs. If you enjoy the arts, release your inner Picasso and get creative at the Station’s Art Bar. Painting lessons are much more fun with the person you love, and craft cocktails and world-class wines help you take your creativity to the next level. 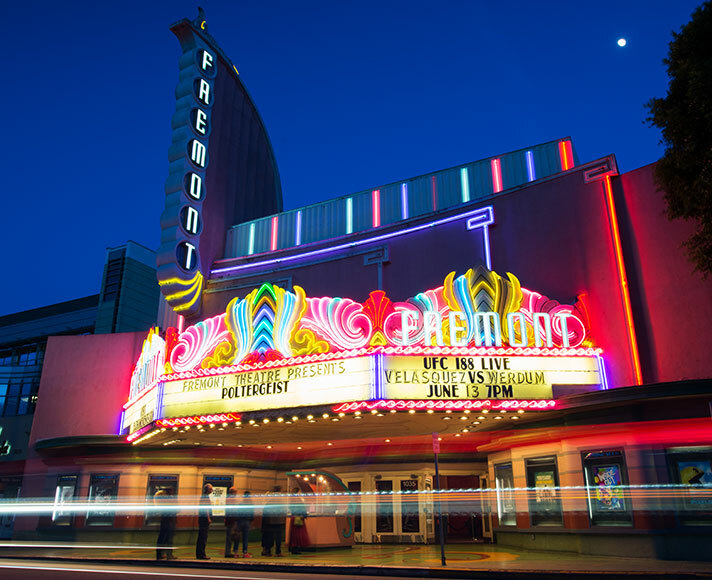 Finally, end your weekend adventures by catching a flick at the iconic Fremont Theater or Sunset Drive-In, another local SLO hotspot you won’t want to miss out on. 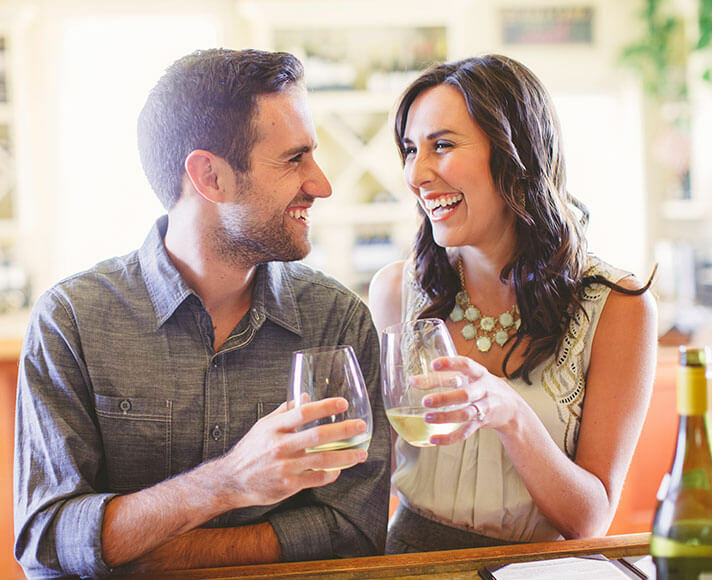 Begin planning your California romantic getaway and book your stay in San Luis Obispo!